I love the term ‘functional exercise’, mostly because it takes a stance on ‘the ideal’ way to train and exercise for everyday fitness. The term ‘functional’ simply means training your body with movements that are natural and centred around building strength, mobility, and fitness that allow you to perform better in everyday life. Whereas bodybuilding, for example, is more focused on say building muscle mass and definition on an isolated body part, like the biceps, rather than improving the way that the arm helps you with everyday living. There is, of course, overlap among all forms of training and the term ‘functional’ can undoubtedly divide opinion in the health and fitness world. For this blog post series lets just consider it to mean training that makes you more robust at living life, exercises that makes you better at getting through the day, lifting the children, doing the gardening, carrying the shopping or driving the golf ball, pain-free! This is an important topic because sedentary modern lifestyles can not only create misalignment in your structure it can also cause weakness and reconditioning in fundamental movement patterns that are needed to stay pain and injury free, regardless of whether or not you are going through structural correction chiropractic care. There are many great functional exercises which I personal train with 3-5 times per week. Today we’ll begin with the one of the very best functional exercise out there, the humble squat. After all, squatting is a foundational human movement that humans have been doing since ancient times. One of the most common forms of squatting is quite simply – going to the loo! As you eliminate waste, you are squatting. However, the modern toilet has virtually eliminated that movement. Getting in and out of a chair is another way that we naturally squat, but again, that is a very minimal version of this fantastic movement, and as a result of the modern lifestyle it has become common to be weak and dysfunctional in this most basic of movement patterns. 1. Building Strength and Endurance of Key Muscles. Squatting correctly strengthens your quadriceps, hamstrings, calves, and ankles. In fact, virtually every muscle in your legs, lower back, and core is worked and trained together throughout the movement, not only making you more stable on your feet but also better able to handle the demands of weight bearing, running and lifting movements. There are two significant reasons why people experience musculoskeletal pain and injuries; postural misalignment and deconditioning. When you train to improve strength, your body can more efficiently produce human growth hormone and testosterone which supports all over muscle development and recovery. Squatting can also help build muscles that are involved in the regulation of fat metabolism, sugar, and insulin sensitivity, which in turn can help prevent serious chronic disease like diabetes, heart disease and obesity. The natural movement of the squat forces you to engage core, knee and ankle stabilisation muscles which can help to improve overall balance and possibly reduce the risk of falls in the elderly. Hip fractures are one of the most significant risks to life in the elderly since they are so difficult to recover from and can lead to significant decline in a short period of time. As always, prevention is better than cure. The same logic is true of athletes if you are balanced and strong in your athletic movements you are likely to experiences fewer injuries. There is a reason why so many trainers utilise the squat with their clients, because it works! Doing squats has been shown to improve running speed and jumping height. Did you know that for every 5 kg of muscle mass gain you burn about 500 to 700 more calories per day than before it was there? Muscle helps you burn fat while you rest and squatting builds some of the biggest and bulkiest muscles in the body, like your quads, hamstrings, and glutes. Building muscle mass is your number one tool for staying lean, especially when you get into your 40’s 50’s and beyond. Many people are striving to not only feel good, function well and be healthy, but also to look healthy! This is an important aspect of overall wellness and squatting can do wonders for toning your abdominal and buttock muscles. Research shows that when squats are done with the proper form, they improve knee joint stability and connective tissue strength. The key is to make sure that correct technique is used, and when it is this exercise becomes very safe and effective for enhancing knee joint health. There are many more potential benefits to perfecting your squat. It’s worth noting that these benefits are all just side effects of a healthy, strong, mobile and well-aligned body that is regularly exercised. There are a few different theories on how to squat properly and avoid problems with back, hip and knee pain. If you have never squatted before then I would recommend that you simply start with body weight ‘air’ squats, or even the ‘wall squat’ to keep everything easy. Body weight exercises are tremendously effective for building strength and endurance and for the majority of people are likely to be all that they will ever need. If you want to start throwing in weighted squats with barbells and dumbbells then make sure you have the basics in place and ideally, supervision, at least in the early stages. Stand with your knee just a bit further than shoulder width apart. Keep your back as upright as possible, looking straight ahead and your knees centred over your feet. The movement begins with the hip hinge; which is your buttocks moving backwards, maintaining an upright spine and sucking your belly button in toward your spine to tighten your protective core muscles (the oh so important transverse abdominis muscle). The knees slowly bend, along with the hips and ankles until you reach a comfortable depth (usually around 90 degrees; see below), then push back up to return to standing. Keep your core muscles engaged and squeeze your glutes as you stand back up. (As with everything there are varying opinions on how to do it correctly. The above advice is based on my personal experience together with an understanding of optimal body mechanics). This is a ‘hot potato’ issue in the fitness world, but it doesn’t need to be. How deep you go on your squat is both a ‘personal preference’ issue based on your natural ability and structural limitations, as well as an issue around the type of results you are training towards. If you are a powerlifter or bodybuilder you will probably limit your squat to 90 degrees, because this is where you have the greatest muscular control and stability. Two things that are very important when shifting very heavy weights. If you are just doing bodyweight squats or have sufficient strength and mobility then you can go all the way down in your squats. This is also known as the ‘arse to grass’ squat and from a full function perspective may well be the best way to train this movement. There will be more stress placed on the knee and ankle joints but being able to complete movements through the full range of movement is desirable. If you are new to squats, begin with just body weight ‘air squats’ and go to 90 degrees knee bend (thighs parallel to the floor) to start with. You can test the waters and see what your mobility will allow you to do as you progress. Much of the squat depth appears to be linked to body type and previous athletic activity affecting your natural mobility. What If I Cannot Perform A Proper Squat? This is valuable feedback from your body. Sometimes there is a neuro-mechanical reason such as a lower back issue that affects your ability to recruit the pelvic and leg muscles correctly. In which case seeing a chiropractor that specialises in structural correction and functional muscle testing (applied kinesiology) could help you regain the lost function. If you are very tight in your hips, knees, and ankles, you may find that you are unable to get low enough without raising up on your toes. This common problem is due to tight hip extensors and ankle flexors (most commonly the hamstring and gastrocnemius muscles). Some mobility work with stretching and muscular release techniques can help speed up results. Simply spending time under tension in the squat positions will gradually stretch out the muscles, so be patient. If one or both knees buckle inwards as your squat, then it is indicative of a gluteus muscle weakness, which again a good chiropractor or trainer can help you to strengthen. Focusing on push your knees outwards as you squat and maintaining tension in your buttocks all the way down and up in the movement can help to eradicate this problem. Even if you haven’t exercised for decades your brain and body inherently know how to do the squat, so improving the movement is mainly a case of remembering how to move your body correctly. If you are elderly or have week legs then simply begin with air squats and work your way up over time to more complicated variations. There are lots of ways that you can progress a squat, some of which will be covered in the video below. As you get stronger, you can add weights to increase your strength but remember that moving heavy weight can be very challenging for you bodily and demands excellent technique as well as adequate fitness conditioning to do safely. You may be aware that Asian populations are famous for ‘hanging out’ in a deep squat position. I was recently on a work trip to South Korea when I saw people approach a zebra crossing and immediately hunker down into the deep squat while waiting for the traffic to stop. I believe that this is how all humans used to behave, long before the invention of the chair. The reason is simple, it is a very comfortable position to be in, it requires no muscular effort to maintain and is relaxing, it applies a compressive squeeze to the knees, lower back and ankles (moving through full range of motion is essential for maintaining healthy joints) and upon standing up again they feel good and loose. In this deep squat rest position, the abdominal pressure may well be equalised allowing for healthy gut motility as well as optimal diaphragm function allowing massage of the abdominal contents as well as peak oxygenation of your cells. Now, you may not be able to get into this position right away, in fact if you are anything like the average westerner who has spent a lifetime in a chair then you will need a few weeks to months of squat training (probably under the weighted load of barbells) to be able to regain this movement). Your efforts will be well rewarded since you will be able to assume the Asian Squat position at regular periods throughout the day to reset your joint mechanics and abdominal pressure all while resting! This is something that cannot be achieved with normal sitting. In fact, quite the opposite, chairs, sofas and seats are one of the primary reasons for spinal pain and mobility problems, as well as a myriad of other health issues. Sitting has now been clearly shown in the science to be as harmful for you as smoking, and here’s the shocking part, it doesn’t matter if you are a regular gym goer or if you are regularly taking trips to the water machine and back, since it is the average amount of time that you spend sitting through the day that matters. Alongside structural correction, working on your squat is one of the best ways to counteract the devastating negative skeletal and neurological consequences sedentary modern living. The Asian Squats is a fantastic rest option to have at your disposal if you are wisely trying to limit the time that you spend sitting in sofas and chairs. Squats are one of the best exercises, not only because they are good exercise, but because they make you better by improving strength in one of the most fundamental movements that you make. 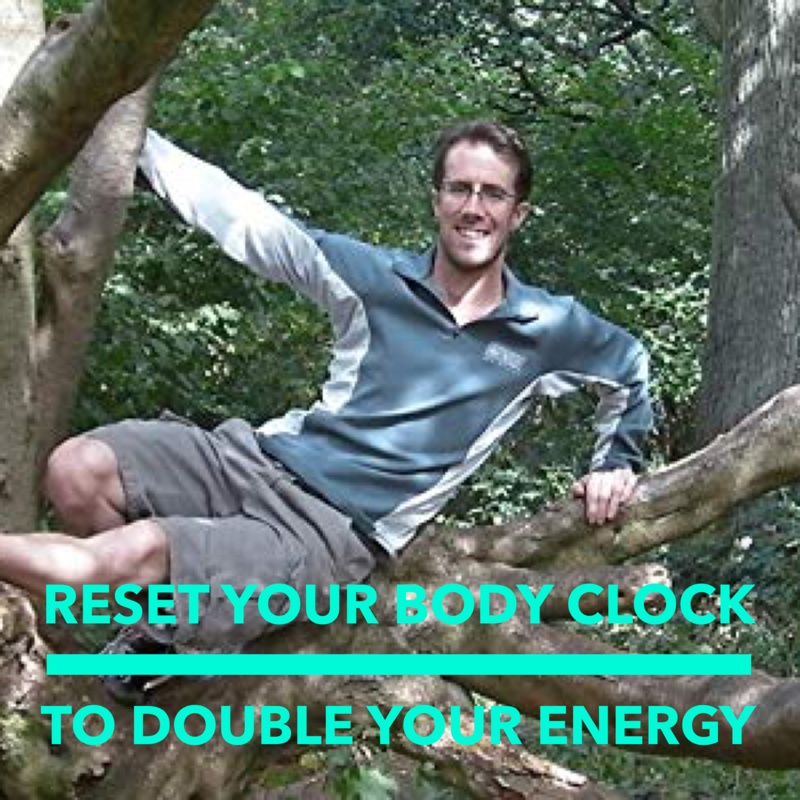 The best part is that you can do them almost anywhere at anytime for a few minutes as a break from work, to stimulate your brain, or even as a deep, restful position and ‘reset’ for your structure. Squats are beneficial for all age ranges and become more important and useful the older that you get. I’m sure you’ve heard by now, sleep is a big deal! Everybody knows that they need to sleep 7-9 hours per night, but the studies show that there is an alarming number of people in the UK who are sleep deprived. More than a quarter of Britons experience poor quality sleep on a regular basis, and the majority of us sleep 7 hours or less per night, with more than a third of us sleeping just 5-6 hours per night (1). Insufficient sleep places a significant stress on the body and has been conclusively linked to obesity, insulin resistance, heart disease, impaired brain function and many other common health complaints (2,3,4,5,6,7). Without adequate sleep, the human brain and body become less able to repair itself from the stress and strain of life and this gradual build-up of a sleep debt not only causes immune and hormonal chaos, but it also leads to significantly reduced ability to cope with everyday life.